Located on the shores of Seminyak Beach, The Legian Bali is adjacent to long stretches of golden sand and the most happening nightlife. 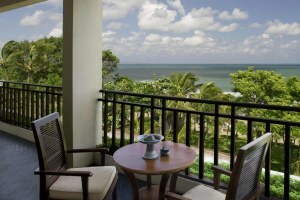 With swaying coconut palms and modern architecture, The Legian Bali has two areas – Ocean Views and The Club Legian. With expansive suites in the Ocean Views and the massive villas with a butler service in The Club Legian, the entire resort is home to luxury and elegance. The three-tier swimming pools, including a gorgeous infinity pool, right by the sandy beach is a sight for sore eyes. The dining options are nothing less than extravagant, with The Restaurant is known for its Dinner Degustation Menu EVOLVE. With awards like 2018 Condé Nast Johansens Award for Excellence, The Legian Bali offers its guests with lavish amenities and an opulent experience. The Restaurant at The Legian Bali beautifully incorporates Asian influences and local ingredients with a European twist along with a selection of fine wine. Focusing on local, organic and sustainable ingredients, The Restaurant showcases the finest produce found in Bali and using a combination of French and Southeast Asian techniques, emphasizing on strong flavours. The dining room opens out onto a poolside terrace, offering a spectacular seascape of the crystal clear Indian Ocean. Set beside an inviting lap pool, The Club Lounge is the main dining area at The Club at The Legian Bali. The Club Lounge is located conveniently across from The Legian Bali. Savour the chef’s excellent reputation of traditional Indonesian cuisine and enjoy the cultural Balinese dishes served in a lavish dining setting. Handcrafted massage oils created with indigenous plants and natural aromas found in the surrounding landscape infuse The Spa with a calming ambience. The world’s most reputable and effective spa products including Pevonia and Elemis, optimize treatments while native healing traditions complete them. Any treatment will be greatly enhanced by the other complimentary facilities including the warm plunge whirlpool, refreshing cold plunge pool, spacious sauna and steam rooms. We encourage you to reach 15 minutes prior to your treatment for spa consultation. The Legian Bali offers guests with 133 square metres of stimulating activities at The Wellness Centre overlooking the landscaped gardens. This unique living room-style gym has been kitted out with modern equipment. The complimentary Hatha yoga offers a relaxing yet challenging way to keep in shape while experiencing the healing arts of Asia. 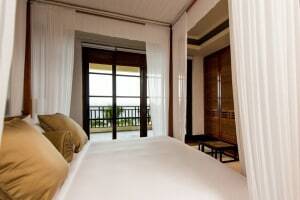 Guests can also indulge in the complimentary facilities like sauna and steam rooms. Sometimes, the Indian Ocean is too rough for all but the strongest swimmers. The Legian Bali’s three-tier swimming pools run right alongside the Indian Ocean to cool and challenge one and all. For serious aquatic workouts, dive into the exclusively-adults, 30-metre seaside infinity lap pool and for cooling plunges at any age, the 23.5-metre and 14.5-metre elevated pools are ideal. Serving a variety of leading labels, The Ocean Champagne Bar aims to please and capture the attention of those seeking something exotic. While champagnes may be the focal point of the bar, a selection of caviars, canapés and small bites have also been specially selected to compliment your choice of drink preference. The Bar also conducts regular live jazz performances to keep guests entertained. This extremely casual, open-air Balinese pavilion by the beach beckons you to arrive relaxed for lunch or an afternoon snack. With signature seaside cocktails and mocktails served in the evening, the Pool Bar offers beautiful views as the stunning sun dips gently into the Indian Ocean.